A CCTV or closed circuit television outdoor camera can provide security and surveillance outside of buildings and in open areas. 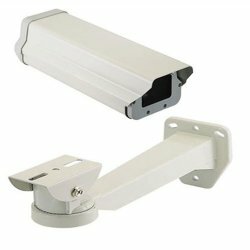 CCTV outdoor cameras can be purchased with several highly specialized features for use in all sorts of applications from businesses to residences; and thanks to current technological advancements, these cameras including their optional features, can be purchased at affordable prices making them a desirable addition to any security system. A closed circuit television or CCTV outdoor camera system is used primarily for security surveillance. With today’s technology, the systems are user friendly and in some cases, can be installed and operational in a matter of hours. The systems can be hardwired or wireless. Several models are designated for indoor and outdoor use. However, cameras that will be used exclusively outdoors should be purchased with area weather in mind. Although, the cameras are designed for outdoor use, extreme cold or heat may have an effect over extended periods. For extreme conditions, you can purchase cameras that have built in heaters and cooling fans. Any video camera that does not openly transmit a signal, but uses a dedicated receiver, can be considered a CCTV system. However, the term CCTV is predominantly associated with video security systems, which are used for surveillance purposes. Cameras on the system transmit to one or more monitors. Unlike broadcast television, where the signal is openly broadcast, cameras on a CCTV system only transmit to a designated set of monitors. The list is by no means comprehensive and one must assume when in a public area they are under surveillance. As a rule, the monitoring is not targeted to any one individual. The CCTV system was invented in Germany in 1942 to monitor rocket launches. It was not until three decades later that the CCTV system was used for security purposes. The New York City Police Department was the first to use the camera system for crime prevention. 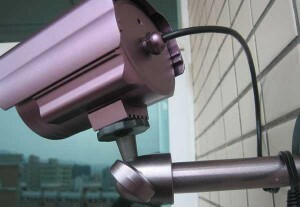 Primarily, a CCTV outdoor camera system is used as a crime deterrent. However, many law enforcement agencies use them in conjunction with facial recognition software to track known criminals. Thermal imaging or infrared cameras have been used by governments to monitor people coming into their countries to detect ill passengers. The CCTV system uses infrared technology to determine the body temperatures of disembarking passengers. Anyone with a temperature above normal might possibly have required additional screening before being allowed entry into the country. In some instances, having cameras prominently displayed is not a deterrent. Therefore, airports, casinos and security checkpoints, for example, have security personnel whose only job is to monitor the cameras in real time. The security personnel would alert mobile guards of any problems they spot while monitoring the system. Small businesses and homeowners for the most part, would not conduct 24 hour monitoring of images in real time. High quality systems use digital video recorders or DVR’s that can continually record and archive images 24 hours a day. Lower end models might use a videocassette recorder or VCR. These require the user to change out the tapes every few hours. The users can still monitor in real time regardless of the status of the video recorders. Many small businesses to save money, would record over the previous day’s tape to prevent stockpiling tapes and to negate the need to purchase more blank tapes. This created problems if there were a need to view images recorded several days in the past. The images did not exist at that point. Homeowners that are considering or have already purchased a CCTV outdoor camera system have security in mind. Owners want protection for their family and property. Having a quality system installed is a crime deterrent. The camera system will also provide conclusive proof of a crime, which greatly increases the chances of the offender being caught. The outdoor camera system can be one camera up to 16 or more. The number of cameras is largely dependent on the owner’s preferences, budget and size of the property. However, many models are quite economical and provide excellent security. You as a homeowner must decide on options such as pan, tilt, zoom, on board heaters, coolers, two-way audio, recording in color and night vision. You also have the option of having a hard-wired or wireless system. Depending on your specific needs, some options may not be necessary. A high quality wireless system can transmit up to a 1,000 feet. Lower quality or what are considered standard systems have a range between 300 and 500 feet. To give it some perspective a mile equals 5,280 feet or one kilometer equals roughly 3,280 feet. Large estates may require a hardwired system to ensure good image quality. Heavily wooded properties may also benefit from a hardwired system, as well. Trees, buildings and hills can interfere with the signal range. Cameras that advertise up to a 1,000 feet signal range may be less in reality. It is important whether you are having the system professionally installed, or doing it yourself, that you carefully account for these factors. Hardwired systems require each camera be physically connected to the monitor. A video cable that transmits the video in many cases also supplies the power to the camera. This cable is usually called a dual use cable. The outdoor wiring must be protected to prevent tampering and to maintain the integrity of the signal. It is never a good idea to lay the cable along the ground. The wiring should be buried and sheathed in conduit suited for video cable. The cable will need to be protected as it enters the home, as well. Bury the cable up to the home and run the conduit up to a junction box that can be adequately secured. The cable must then be fed through the walls to the monitor. The CCTV outdoor camera system must be weatherproof against, ice, snow, rain and mounted to withstand heavy winds. The cameras can be mounted on poles along the property’s perimeter. Ensure the cable is run inside the pole and not outside of it. Pole mounted cameras should have a bracket that extends the camera far enough from the pole to allow room for panning and tilting. Dome cameras can also be used if mounted properly. Dome cameras shield where the lens is pointing and the entire housing does not move with the lens as with box style cameras. Fixed cameras along the perimeter do not provide as much coverage, thus, there is a need for more cameras. Fixed cameras can be used if they only screen visitors at a security gate. The camera is mounted to capture the faces of individuals that arrive in vehicles. In most cases, there would not be a need for panning or tilting. For maximum benefit, outdoor cameras should have night vision capabilities. This is particularly important for cameras located away from security lights along the perimeter. Many cameras have the ability to record quality images in low light. You can also use infrared cameras for areas with little or no light. Infrared cameras might be needed in heavily wooded areas where the overhanging foliage essentially blocks the sky. Infrared cameras have the ability to detect radiant heat from all objects, human or otherwise. Objects that do not give off radiant heat are ones with a temperature of absolute zero. The camera converts the heat signature into an electronic signal that passes through a series of components to develop a viewable image. Typically, a room is designated as the monitor room. Because of the nature of hard wiring, the monitor must stay in a fixed location. The monitor can show one or multiple images at a time. Operators can randomly shuffle the images or fix and hold on one camera view. The camera’s options are controlled from the monitor room. Usually a joystick or the controls on the video recorder are used to operate the pan, tilt or zoom. Several systems have tracking capabilities. Once the motion sensor is tripped, the camera will track and automatically zoom in and out as the subject moves. Several systems can also be programmed to pan a predetermined coverage area. You may want a camera that just covers a driveway or access road on the property. The camera will only pan the roadway, trail or pathway per the programmed instructions. Wireless CCTV outdoor camera systems are very popular with many small businesses and homeowners. The system is easy to install and can be installed by the owner in most cases. The camera communicates with the receiver using radio frequencies specific to both devices. Many systems allow only four channels. This means you can only have four cameras, but you can purchase upgrades to extend the number of cameras to as high as 16 in some cases. The cameras can also be controlled by using your personal computer. Setting up the cameras is quiet similar to hooking a lap top computer up to the home’s wireless internet system using Wi-Fi technology. The wireless cameras will require a power source. The system will include a power adapter for each camera. The cameras will be located outdoors so it is important that the cameras plug into a properly installed receptacle suitable for outdoor use. The cameras can be moved at any time as long as they are within range of the receiver. Most cameras will have a rechargeable battery pack. You can power the cameras with their batteries to cover a specific area for short periods, where there is not access to AC power. The stated signal range of up to 500 feet for an outdoor wireless camera is based on ideal conditions. Therefore, the range is usually between 300 and 500 feet. The conditions include line of sight, heavy foliage, building or hills. All these things can interfere with the signal. Keep these conditions in mind when installing your system. Recommended options for your wireless system include pan, tilt and zoom for any camera that is located to cover a driveway or access road. Night vision is crucial, as well. When you or a family member is alone at night, or any time for that matter, it is important you have a clear set of eyes that can see beyond the front door. It is recommended that you install a dome camera with night vision over the front door. The camera will monitor and record anyone near or at the entrance. It is important that you or your family identify visitors before allowing then into your home. The camera if mounted on the wall will have a limited coverage area. The camera should be installed on the ceiling of the porch or overhang. Internet protocol or IP cameras can also be used with a CCTV outdoor camera system. Each camera has its own IP address and streams directly to the Internet. The server is usually a dedicated one for security purposes. The recorded data can be stored locally or by using a centralized video recorder. This allows multiple individuals access to the camera options and data. Using IP cameras allows you to install as many cameras as the network can handle. You can control the cameras, watch in real time or view recorded images from anywhere in the world. IP cameras are ideal for large estates, medium to large business or office and apartment complexes. 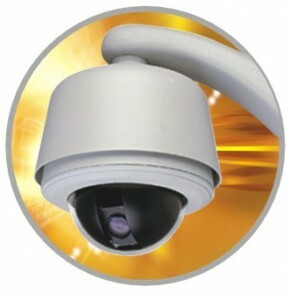 Whether they are hardwired, wireless or IP cameras the system is considered CCTV. The cameras do not transmit to anything other than their designated monitor, receiver or network server. Ensure the wireless system is properly protected against intrusions or signal interference. With today’s technology, the signal is usually shielded against interference by most common household devices. Wireless cameras use Wi-Fi technology and are connected to a home’s wireless network. Ensure you use the wireless provider’s encryption protocol. Typically, you are provided with an encryption key that must be used to connect any wireless device to the modem and or router for Internet access. 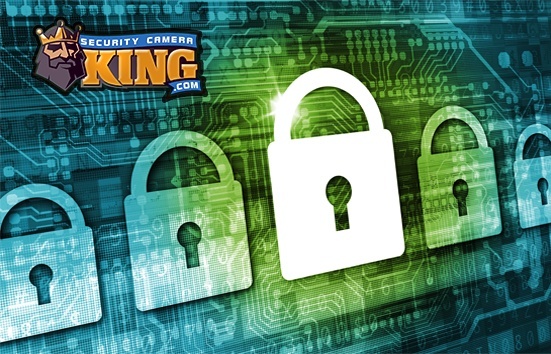 Contact Security Camera Kings today to see if we have a CCTV outdoor camera that fits right for you.